The Mayor of London, Sadiq Khan, has today confirmed that Transport for London fares (TfL) will not rise at all next year as part of his four-year TfL fares freeze. The Mayor’s TfL fares freeze will help Londoners and visitors by ensuring travelling by bus or tram ticket in London next year costs not a penny more than it did in 2016. 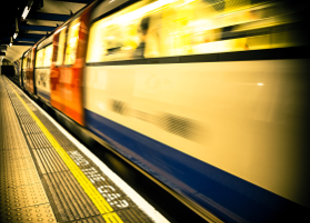 Pay as you go journeys on the Tube, DLR, Emirates Air Line and rail services where TfL fares apply are all also frozen, as well as the cost of hiring a Santander Cycles bike. By 2020, Sadiq’s TfL fares freeze will have saved the average London household around £200. This is in addition to the Mayor’s ‘Hopper’ bus fare that has now saved money on over 240 million bus journeys since it launched in September 2016. The Mayor, Sadiq Khan, has also today confirmed that the technical testing and approvals for introducing ‘Monday to Sunday’ (weekly) capping on Oyster are now being completed. Once introduced, the cap, which is already available for contactless users, will ensure that customers are never charged more than the cost of an equivalent 7 Day Travelcard. TfL and the Train Operating Companies are now finalising plans to introduce the cap by Spring 2019. “This fare freeze is very welcome news for Hounslow and so is the Mayor’s continued commitment to rationalising the fare structure, ensuring that residents have access to fair and consistent tariffs, offering flexibility and consistency whether they choose to pay per trip or to get a travelcard.